Migraine Causes - What Triggers Your Headaches? 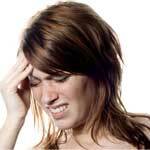 Migraine Causes – What Triggers Your Headaches? Migraines are horribly painful and even if managed with medication can cause you to have to lie down and rest just to start to feel comfortable again. But what are some common migraines causes? Well, unfortunately, the things that trigger this malady are not totally understood. But doctors do know some things that can trigger this condition, and some of them thankfully, you can prevent. Foods that cause migraines sounds crazy, and sounds even crazier when you find out things like some fresh fruits and other healthful snacks like nuts are on that list. However, these items, along with things like: pizza, cultured dairy products, food additives, and even aged cheese can trigger migraines. Now, don’t stay away from healthy foods if they’re available, but be aware while eating them and look for symptoms of migraines after to see if you need to reduce your intake of kiwi or sharp cheddar. In women, hormonal changes can cause migraines. Migraines during pregnancy are likely caused by hormone fluctuations, as if having swollen feet and a belly button the size of a hockey puck weren’t punishment enough, now you get screaming headaches as well. Hormonal changes don’t just occur in expecting women though, women experiencing menopause or changes or issues in the reproductive system may have problems as well. Unfortunately, hormonal changes are one of the migraines causes that are a lot less difficult to self manage. Migraines symptoms can be brought on by physical activity as well and exertion as experienced during exercise or even sexual activity can trigger a migraine. How worthwhile and worth the pain those activities are, is entirely for you to decide. Another of the common migraines causes is changes in sleep habits. Getting less sleep than normal or changing your regular pattern can bring on a headache attack. Ocular migraines are defined as headaches that involve your vision and sometimes produce auras, but the term can also be used to describe retinal migraines. This condition, unlike their relatively harmless co-condition of shared name, are caused from a rare abnormality that affects only one eye and can cause hours of blindness or impaired vision. It’s actually unrelated to migraines as it is caused by an underlying problem. On the other hand, ocular migraines not associated with retinal migraines can create flashes of light, blind spots, shimmering spots or stars (think Looney Tunes) or zig zag patterns. There are no specific items listed for ocular migraine causes, it seems they are merely a side effect that accompanies an existing migraine. Chronic headache conditions are not understood yet enough that we are able to always pinpoint the exact source of migraine causes. By controlling which external environmental factors we can, the incidences and frequency of migraines can be greatly reduced improving quality of life. Consultation with your health care provider is critical in receiving the best care possible for your condition.